Have you been considering a foray into the exciting world of online poker? If so, it is likely that you are hoping to to develop an effective online poker strategy. This is essential if you wish to make full use of your talents and walk away a winner. It is always best to have a “game plan” in place well in advance, as this will help to dramatically alter the overall learning curve. This is the very same reason that we have put together this handy article. Please spend some time examining the tips and tricks found below. First of all, know which hands are more likely to provide winning results and those to avoid. One of the most common mistakes that novices make is to believe that any hand will offer rewards. Although this is true in theory, the fact of the matter is that some hands are much more likely to win when compared to others. This is an excellent way to stack the odds in your favour from the beginning. So, take a discriminatory approach. Many beginners tend to focus solely upon their own hand. This is particularly common if they have extremely good or exceedingly poor cards. However, we should never forget that poker is defined by the interaction of two or more players. What might your opponent possess and how would these holdings compare to your own? Even if you believe that you have an unbelievably strong hand, never forget that there are no certainties in this game. Being able to predict (within reason) what others may be holding in another effective way to formulate your online poker strategy. You will naturally become more adept at this practice over time. One of the reasons why many individuals are attracted to poker is that there is a certain amount of bluffing involved. Although this psychological ploy is certainly an interesting practice, it is not the best way to sharpen your skills. Let’s always remember that famous competitions such as the World Series of Poker tend to emphasise these moments in order to keep the viewer interested. However, it is quite rare that bluffing represents the heart of any match. To put this another way, more is not necessarily better. Keep bluffing to a minimum; particularly when you are just starting out. High-limit games are very exciting and they tend to draw the best players from within a specific category. Still, take this observation with a proverbial grain of salt. Although the temptation to win a massive pot is very real, let’s not forget that a single round can cause truly massive losses if you do not play your cards right. As a beginner, it is best to stick with lower limits. There are two reasons for this observation. 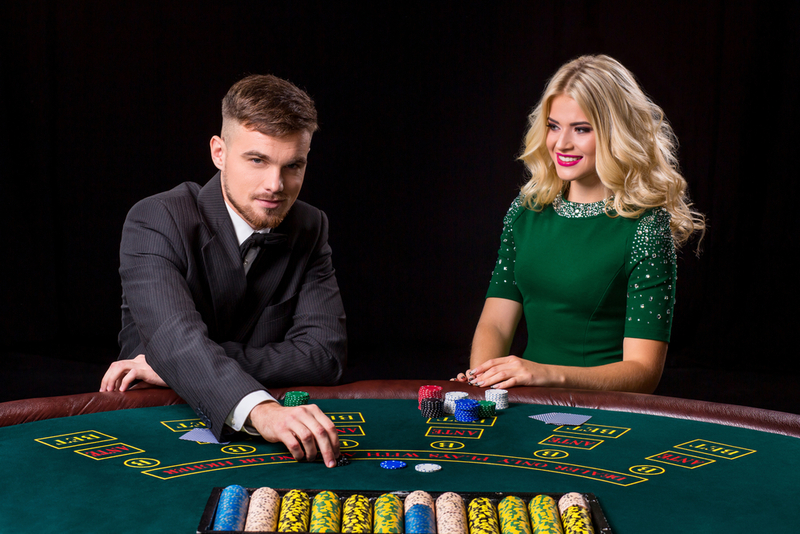 First, you are not likely to lose your entire bankroll within a few hands. Additionally, the chances are high that you will be competing with others who have similar skills to your own. Be patient and realise that even the experts started off on the ground floor. What Are the Levels of Your Competitors? It is a foregone conclusion that you should compete against those who are worse than you. However, there is a myth which states that the only way to improve is to compete with those who possess more experience. This needs to be clarified. While it is true that these players may be able to teach you a thing or two, these lessons will be at the expense of your bankroll. It is much better to slowly ascend to higher levels over time. Jumping into the veritable “shark tank” will inevitably result in mounting losses. We have all seen films which have depicted the winner holding flushes and similar suited hands. There is a misconception that it is better to seek such combinations in order to guarantee a win. However, this is simply not true. You may be surprised to learn that possessing cards of the same suit only increase the chances of winning by a mere two percent. This is important, for this insignificant figure is not nearly enough to dictate any type of pre-flop raise. It is much better to fold in such instances, as you will be able to protect your bankroll from a long-term perspective. Many novice players tend to possess a limited bankroll. This can prove to be a problem, as more experienced competitors are well aware of such a situation. They are likely to push players to the point that they are forced to risk their entire stack. More often or not, they will fold. The key takeaway point here is to recognise that you have to be willing to lose your bankroll and separate yourself from the concept of a potential loss. If not, you will be basing your strategy upon protectionism and fear as opposed to sound judgement. Finally, let us highlight that different online poker games are associated with slightly different rules. Always know the guidelines to each variant to avoid making unnecessary mistakes. Although this might appear obvious, countless novices fail to do their homework before jumping into a hand. Even the smallest of errors can cost you dearly and if you fail to correct these mistakes, they can quickly develop into habits. Developing a successful online strategy will take time and patience. Losses can and will occur on occasion. These should be used to examine your current approach and to determine whether or not there is any room for improvement. Every professional has had to endure this very same learning curve and as always, it pays to be a winner.